TBILISI, DFWatch–Georgian Prime Minister Irakli Garibashvili named three new ministers on Friday, two of whom are members of the Republican Party, which is regarded as a more western-oriented coalition member. The nominations are made against the backdrop of a weakened national currency and attacks from the opposition over foreign policy. 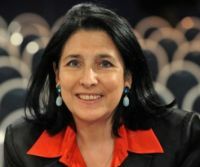 New defense minister is a woman, Tina Khidasheli, head of parliament’s committe for European integration. She has a background as human rights activist and is the wife of parliament speaker Davit Usupashvili. Much attention has been drawn to the post as defense minister, since Irakli Alasania was fired in November, and there have been doubts about whether his replacement Mindia Janelidze was up for the job and whether he would go through with a plan to strengthen Georgia’s air defense systems with new procurements from France. 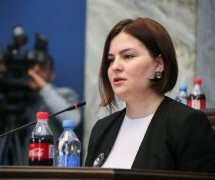 Another Republican Party member and parliamentarian, Gigla Agulashvili, was named as minister of environment and natural resources. He currently holds a position as head of parliament’s agriculture committee. The third new cabinet minister named today is Tariel Khechikashvili, a businessman and founder of FC Saburtalo, a football club. He was named minster of sports and youth affairs. 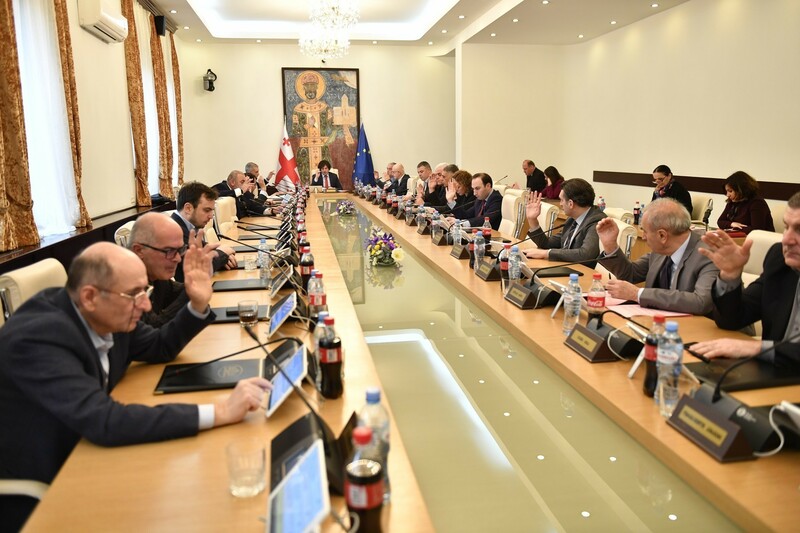 There was a proposal earlier that Janelidze would get back his job as head of the State Security and Crisis Management Council, which is subordinate to the PM, he but was not given another assignment by Garibashvili. 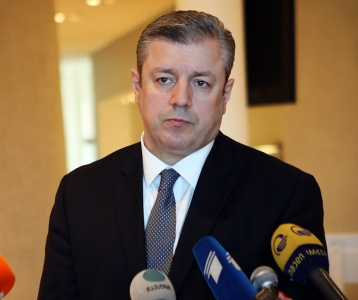 Janelidze was one of the least popular ministers during his five months tenure. “Tina Khidasheli will be the fifth female defense minister in Europe and first one in Georgia after Netherlands, Norway, Sweden and Albania,” PM said proudly. The environment and sports ministers resigned earlier this week for different reasons. The reason for Janelidze’s resignation is still unknown as neither Garibashvili or Janelidze spoke about the reasons why he was sacked. 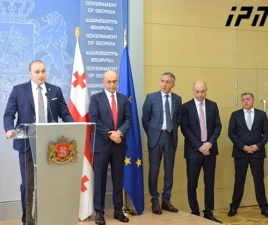 Although the PM a few days ago addressed the president and parliament to speed up the process of approving the new government, President Giorgi Margvelashvili again hit back on Friday by postponing the approval of the new ministers for a week. 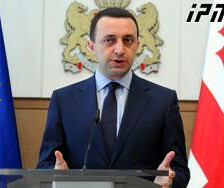 It is not the first time Margvelashvili has gone against his own political bloc. In the past he has used his right to veto several bills. Today he said at a press conference that recent developments make him think that the government is working in a ‘force majeure regime’ when several ministers have resigned, another one, apparently the defense minister, first says he is not leaving the post and then leaves the next day. He said now he wishes to give the PM and parliament a chance to consult in a more ‘peaceful environment’ and reach a consensus about the new government. Under the Constitution, the acting prime minister names new ministers, sends the list to the president for signing and the latter presents the list to the parliament to declare confidence in the new government. The president can not change the candidates; neither can he name his own candidates. He is allowed to postpone signing for maximum one week. If the PM after a week submits a list with the same names, which is a likely scenario, the president will have to sign the list and submit it before the parliament. Speaker of Parliament, Davit Usupashvili from the Republican Party, said on Friday that president had this constitutional right and it needs respect. “This is not an extraordinary event. He is elected and thus made this decision. This is his position, view and we must respect the constitution,” he said, adding that thinking more is never wrong. The National Movement, which has long been trying to drive a wedge between the president and the government, hailed the president’s decision. The prime minister has not yet responded to the president’s decision.